April was a busy month for the Crisis Center and its community services team as it vamped up its efforts on sexual assault-related prevention for Sexual Assault Awareness Month. On April 19, UTPB brought in the professionals from Girls Fight Back, an organization with a mission to give practical and empowering options for young women to learn violence prevention and self-defense. The presentation aimed to educate students on self defense tactics and empower them to avoid their own victimization, and The Crisis Center was there to provide expertise on sexual assault, consent and dating violence. It started the month out by screening Audrie and Daisy at Odessa High School, this documentary chronicled the events of sexual assaults of high school students in a small town and the harassment, victim blaming and injustice that followed. Community services managers did a presentation on teen dating violence before the screening and hosted a question and answer session after the movie for students who felt they needed clarity on the documentary. From April 10-13, the Crisis Center teamed up with with the Odessa College to provide a week-long series of events. It started with a kickoff with music, pledge signing and pictures. 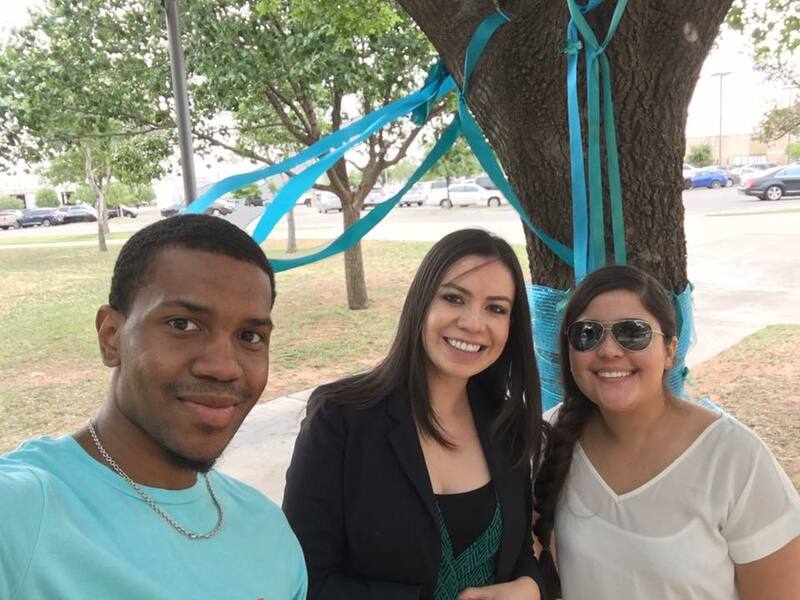 Events throughout the week also included a lunch and learn plus a day of solidarity highlighted by tying teal ribbons on trees around campus. On April 13, The Crisis Center hosted a screening of The Hunting Ground at Odessa College to cap off the campus activities. Unrelated to the Sexual Assault Awareness month activities, the Crisis Center formed bonds with students at the UTPB Early College AVID program. It provided a two-day presentation on self esteem and empowerment.